Just starting with embroidering? 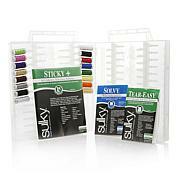 Get all of the colored threads you need, or simply re-stock your thread collection with this essential set. 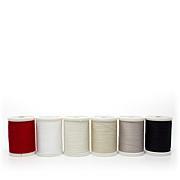 You get 27 of the most used colors as well as black and white bobbin threads for a set that's sure to leave you in stitches. It is a nice looking case and a good selection of colors of thread. 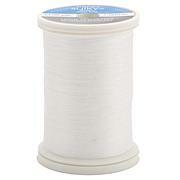 I was a little disappointed in the amount of thread on each spool. I thought it would be more . I'm knew to machine embroidery and didn't realize just how expensive they were apiece. 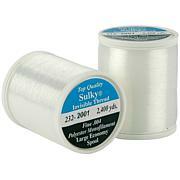 So if you add up 27 spools plus bobbin thread and a case it's a really good deal. 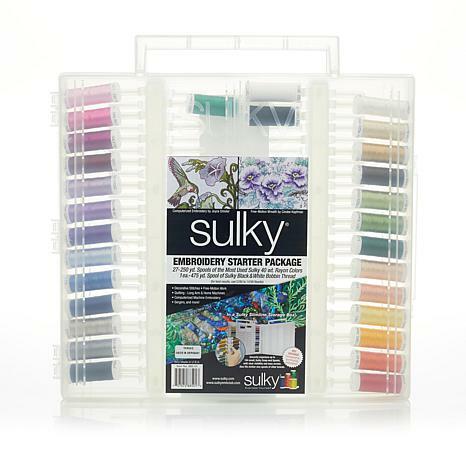 I would recommend this to anyone just starting out like me, or even an experienced embroiderer.